The 4 C’s of flash food photography are Consistency, Control, Convenience and Creative Freedom. 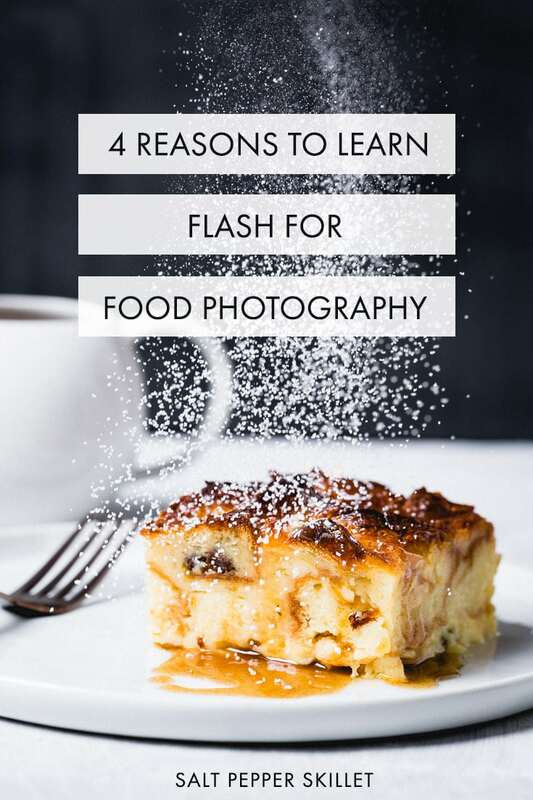 They are all the reasons you need to pick up the skill to use a flash to up your food photography game. As beautiful as perfect natural light can be for food photography; the perfect is the hardest part. It’s definitely not always convenient and is not usually in your control. The ability to bring your own high-quality light source to your food (or your food to it) is game changing. Photographing food with a flash changes you from working around the sun, to the sun working around you. My number 1 photography tip is to learn how to use off-camera flash for food photography. It gives you total creative control by being able to manipulate the light in so many ways. You can shoot at any time of the day or night and don’t need to rely on the sun or the light at your location. It also helps you be more consistent and edit faster because the light is from the same source. You might hear people say that light is light. While that is true, certain types of light are much higher quality than others. This is true for both natural and artificial lights. As food photographers, we often want to photograph what we are about to eat for dinner, rather than having to shoot when the light is available. Does this sound like a dream? If you only shoot in natural light, it’s something you probably rarely get to do. I held off on starting to take food photos until I could figure out the basics of artificial light. I don’t necessarily recommend waiting to start, but it is something I was glad that I did. I was trying to spend as little money as possible, since it wasn’t something I made money doing. I had an older Canon Speedlite flash and realized that if I could trigger that flash off camera with some sort of diffuser, it could do the trick. The Canon flash trigger was quite pricy (like more than the price of my flash) and really wasn’t an option. I was asking questions down at the local camera store and the sales rep said they happen to have a long cable that they could sell to me for $15. I was sold. The next thing I would need was a light modifier/diffuser to soften the harsh flash to get it to look like natural light. Back to the local camera store for help. They had a 24”x24” softbox that came with a speedlite attachment and a light stand all for around $50. I was in business. I had a nice crusty loaf of bread and that would be the first subject photographed with the flash. I was immediately amazed by the results. It really looked like beautiful natural light and it was completely pitch black outside. This was a game changer (or more a game starter). My first recipe was shot not long after and this site was launched. Since then, I have become a full-time food blogger and photographer. While there is definitely no single way this happened; a lot of it is attributed to learning how to use flash for shooting food photos. I have changed lighting kits and modifiers a few times, but the basic setup remains the same. A single light source (flash) and a diffuser to soften the light. The setup is similar to a window with a shade pulled down. When we talk about flash for food photography, we’re not talking about the tiny flash that is built-in to some cameras. We’re talking about a separate light that is triggered via remote control when you press the shutter button on your camera. You definitely want to avoid any type of flash that is attached to the camera. It’s all about light direction, and straight on light doesn’t give the beautiful textures and contrasting look that we want in our food photos. Using a flash gives you the ability to be more creative with your lighting. You can go from light and bright, to dark and moody in just a few seconds by changing the background and light modifier. Changing the size and shape of a softbox drastically changes the look of the scene, which allows you to develop a unique look that you love. You control the direction, brightness and the color of the light. This allows you to shoot with faster shutter speeds and lower ISO for sharper higher-quality food photos without having to use a tripod for stability. You also control the height, angle and softness of the light depending on the look you are going for and what the subject is. When you use a flash for food photos, the light is always going to be the same. You will get to know how it looks and works with different scenes, so they will always be the same. Having consistent photos also makes for much quicker and easier post-processing edits. You will be able to batch edit photos because they have similar exposure and the same white balance. Shooting with flash allows you to shoot 24 hours a day 7 days a week at any location. It can be pitch black outside or in the middle of the day. 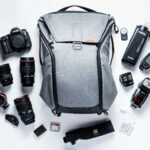 Having a flash photography kit also gives you the convince of being portable so you pick up your gear and move to a client, a friend’s house or another room in your own house. Bonus: Learning to photograph food with flash allows you to start to shoot for restaurant clients, which is almost impossible to do with natural light. Your new gear will pay for itself really quickly and a new side gig will be born. This contains affiliate links where I will receive a small commission if you make a purchase, at no additional cost to you. There are hundreds of options out there. This is what I would recommend starting with. Over the last few years I have transitioned into the Godox ecosystem, so that is what I am recommending here. Camera brands like Canon and Nikon make their own speedlite flashes. I own a Canon ____ and it was close to $500 and it doesn’t work any better than a Godox Speedlite. The Canon might be more reliable in the long run if you are shooting a wedding, but we’re talking about starting out using flash for food, so it’s Godox all the way baby. Oh, and you could buy 8 of these Godox flashes for the price of 1 canon. If you don’t use Canon, you will want to order the trigger for Sony or Nikon cameras. While a quality light stand and a tripod are almost worth their weight in gold, they can cost almost as much as gold. For $20, these Neewer stands will work just fine when you are starting out. This mounts on top of a lightstand and connects the flash and softbox. With virtually unlimited options for a softbox, a 24” square is a great one to start with. That’s all you need to get started with speedlite flash photography. If you already have a speedlite flash, you can purchase a remote trigger to fire the flash off camera. 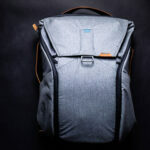 A camera bag that's as smart as you are. 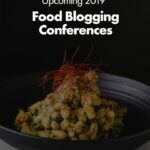 A list of the best food blogging conferences coming up in 2019 that you will want to attend. I hope to meet you there!